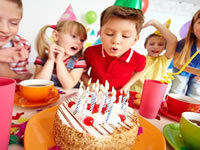 Our pre-school entertainment parties have been designed to entertain the appropriate age group, we have worked at large companies such as Busy Bees Nursery and many other pre-schools, private functions, birthday parties and nursery’s. Our show includes fun party dances, puppets, and games and magic, we also tailor packages to your requirements whether you’re looking to hold a small private function to a bouncy castle fun day; we have packages to suit all. To discuss you’re booking with our team please contact us.